We offer a wide range of Spa products, Accessories, Home Decor & Spa Furniture that is highly appreciated in Hotels, Resorts and Homes. The name Aromablendz is synonym to Trust & Quality. We always aim to exceed expectations & retaining a customer for Life; that is how relationships are made. Get an even better Rate on Bulk Purchase above 20Ltrs! The Aromablendz Natural range is specially formulated to cater to offer quality at most economical rates. It caters to the particular strata of wellness outlets that operate under low inventory cost model. Fragrance: It is available in 4 difference fragrances Aqua, Lemongrass, Lavender, Citrus, Sandalwood, Cinnamon. As the costing is highly economical the MOQ & packing size is only 5 ltr cans. Use: Gently massage all over the body using alternating firm & soft strokes. Get an even better Rate on Bulk Purchase above 20kgs! 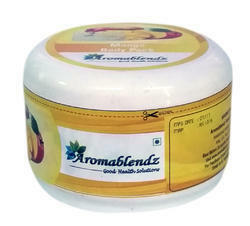 The Aromablendz Natural range is specially formulated to cater to offer quality at most economical rates. It caters to the perticular strata of wellness outlets that operate under low inventory cost model. Fragrance: It is available in difference options like Mango, Strawberry, Watermelon, Aloevera Honey, Aloevera Ginger, Sandalwood. As the costing is highly economical the MOQ & packing size is only 5 kg jars. Use: The Aloevera based body cream provides excellent Hydration; recommended for application post a scrub treatment or after a shower, post a swim in the pool when the cholrine dries the natural oils of the skin. Application: Apply generously over body at least once a day, as a night cream before bedtime or after a bath/shower. Prolonged use smoothens dry, chapped skin while providing essential enrichment deep into the skin's layers. Ingredients: Aloevera Gel Base, Sunflower Seed Oil, Glycerin, Emulsifying Wax, Stearic Acid, Proprietary Blend of Essential Oils, Glyceryl Stearate, Carnauba Wax, Sodium Hydroxide, Potassium Sorbate, Phenoxyethanol, Potassium Glutamate & Excepients. Fragrance: It is available in difference options like Cream base Mango, Strawberry, Apricot and walnut & Gel base Aloevera Honey, Aloevera Ginger. As the costing is highly economical the MOQ & packing size is only 5 kg jars. 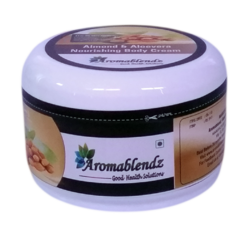 Use & Benefits: Aromablendz Natural Body Scrub is a formulated in natural Aloevera base, The natural scrub granules exfoliate dead skin cells, helping to skin to breathe while its active ingredients nourish, cleanse and moisturize the skin. 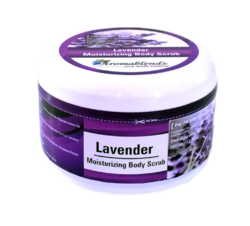 Application: Body scrubs are better to use on damp skin. Take approx 15 gms onto your palms and then distribute it evenly on the body using uniform massage strokes. Continue Scrubbing for 10 to 15 mins, use a little water if skin feels dry. Pat dry with sponge. Ingredients: Aloevera Cream or Gel Base, Helianthus Annuus (Sunflower) Seed Oil, Vitamin E, cosmetic grade surfectants & excepients. Use: The Aloevera body pack fortified with active ingredients moisturizes, bleaches, nourishes & rejuvinates the skin. Recommended for application post a scrub or gel massage treatment. Application: Apply evenly & leave it for approximately 10 to 15 minutes. Ingredients: Aloevera extracts, Citric Acid, Magnesium Sulfate, Lithothamnium Calcareum, Avena Sativa Flour, Magnesium Oxide, Laminaria Digitata, Parfum & Excipients. 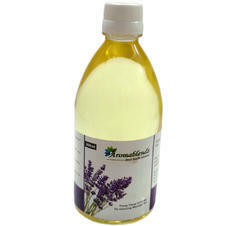 Looking for Aromablendz Natural Range ?